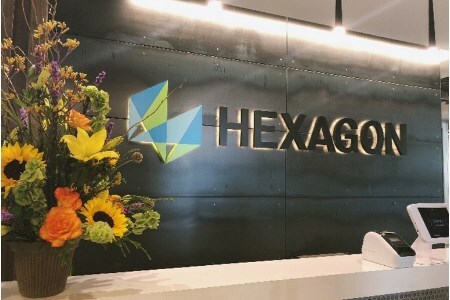 Hexagon‘s Mining division has opened its North American headquarters in the emerging technology hub of downtown Tucson, Arizona (USA). The move from the city’s outskirts to the newly built and designed Hexagon building at City Park, 40 East Congress Street, heralds a new era for the company. Not only does it solidify plans to add 120 jobs over the next five years, it thrusts the company into a thriving, pedestrian-friendly city centre. Bike paths, the street car, hotels and recreation are all steps away. The five storey building is both contemporary and sleek, including open floor plans, a rooftop patio, restaurants and coffee shop. Wi-Fi and digital signage feature throughout Hexagon‘s top three floors, which comprise private offices, workspace banks, communal areas to meet and brainstorm, a 400 person auditorium and sound-proof rooms for solo work. Hexagon brings the digital mine to visitors in its fifth floor Experience Centre, an interactive showcase of life of mine solutions. Augmented reality, virtual reality and truck cabin simulation are just some of the Centre’s features, which employ hands-on hardware and software to fully immerse visitors into the modern operation. The space includes a training center and event facility with full broadcast capabilities. The move downtown coincides with the mining division’s opening of a new state-of-the-art production and research facility near Tucson Airport. The facility will enable Hexagon to expand production capacity, improve product quality and enhance research capabilities.